Fenestra laptop est tempus ut PERMUTO in Mac? Super elit nec respexerunt Alex Hern switched a Mac Mac. 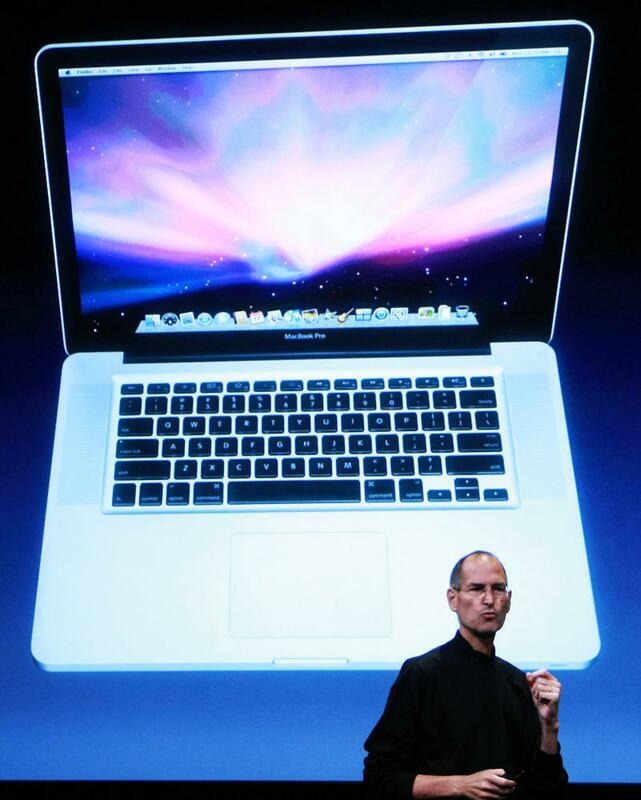 But the new MacBook Pro’s very expensive so could he finally be tempted to switch again? I’ve been an Apple user for over a decade, ever since I picked up a refurbished 17in PowerBook back in 2005 to replace my ailing Windows XP box. But last month, after Apple announced its most expensive new MacBook Pros in almost 15 annis, I reconsidered my decision for the first time and, for the past few weeks, I’ve been back on a Windows PC. The laptop wasn’t cheap, but it made shuttling between my separated parents’ houses much easier. And while I missed being able to play the full library of PC games I’d built up over the years, it was an exciting time to be moving to the Mac OS world. More, World of Warcraft was cross-platform, which was all the gaming I needed for a good while. So I switched back. For the past month, I’ve been using the book Microform Campo, the top-of-the-line laptop sold by, of all people, Microsoft. My expectations going in were uncertain. I know Windows has evolved radically since I last used it, back in the XP era, and has even changed since the last time I used it in anger, shortly after the launch of Windows 8.1. 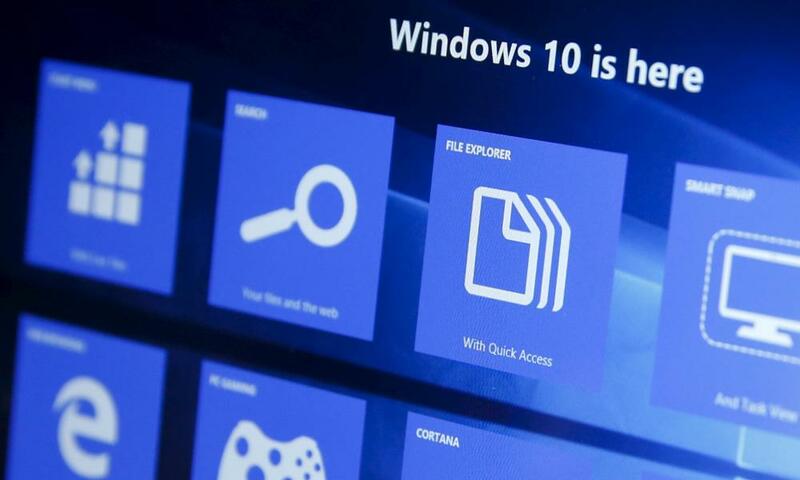 The current latest version of the operating system, Windows 10 (confusingly, only one version later than 8.1; the story goes that too many developers wrote code referring to Windows 95 atque 98 as “9*”, meaning an actual Windows 9 would break compatibility), is generally considered a good thing. It meshes the new Windows experience of version 8 with an old-style desktop more elegantly than previous versions, while consigning ever more of the cruft deep into nested menus and offering a slick experience for first-time users. But Gates is gone, as is Ballmer. This is Satya Nadella’s company now, and the Microsoft of this generation is everything the Microsoft of the 90s – or the Facebook of today – isn’t: humble, quiet, content with success where it can win and partnerships where it can’t, and as proud of working with competitors as Gates was of crushing them. Denique, it’s a Microsoft that I could consider being friends with. It couldn’t be that bad. That’s not to say I didn’t have plenty to complain about, quamquam. That Spotlight/Cortana mismatch, puta? It wouldn’t have been so bad, except that Windows maps the alt key to the location of the command key on Macs, and alt-space is the Windows shortcut for switching languages, so every time I failed to invoke Spotlight, I would accidentally switch the language my computer was set up in, resetting my keyboard to a US English layout. That was an annoying problem. Worse was that I didn’t actually have two languages set up on the Surface Book in the first place. Et tamen, hovering in the bottom right, permanently, was a little box showing whether I was running in UK English or US English, with no option in sight to remove it. I’m also firmly aware that a critical eye on Mac OS will reveal many similar bugs. 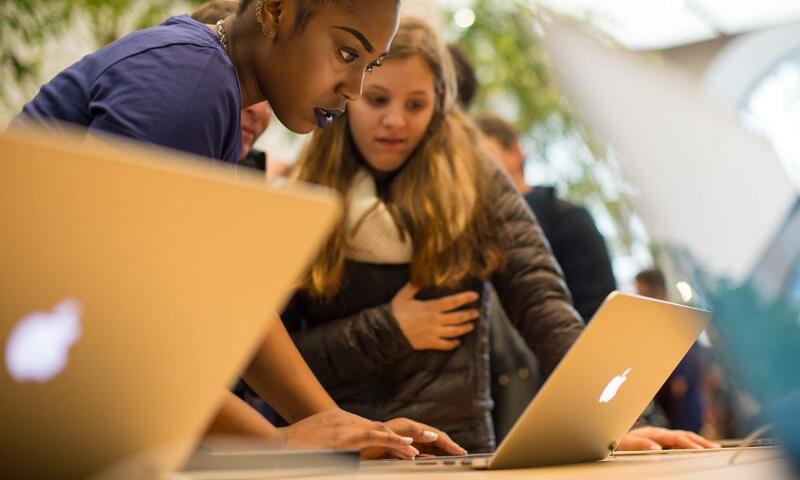 Mac users, particularly long-term, slightly jaundiced, Mac users, have long become familiar with the hollow laugh and invocation of Apple’s erstwhile marketing slogan “It Just Works” as something emphatically continues to not Just Work. In facto, that phrase has been uttered in irony so many times that it’s easy to forget that it really does come from a place of competitive advantage for Apple. If you’re young, a Mac user, or not particularly technical, that might not mean much. Drivers are the small pieces of software that tell the operating system how to work with hardware, from complex components like graphics cards to simple accessories like this mouse. But the necessity, aut non, of drivers for accessories was a big part of that competitive push by Apple, which made a point of ensuring out-of-the-box support for many of the most commonly used peripherals like printers, cameras and mice. When Steve Jobs said “it just works”, this is the sort of thing he was referring to: the ability to plug in a mouse and have it Just Work. The Microsoft of 2016 has a split personality. In multis, the split is the same that it’s had for the past 20 annis, between its desire for continuity and its desire for reinvention and technological leadership. 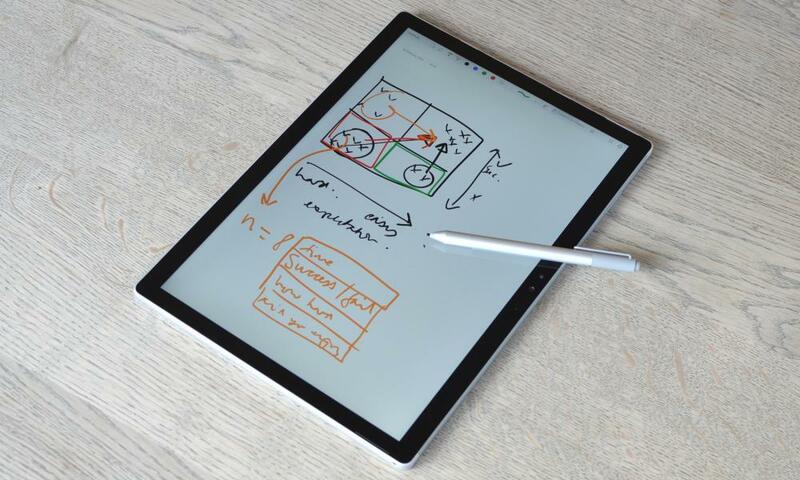 Where the company is successful today is where that latter desire is ascendant, and the Surface Book is the best example of a forward-looking Microsoft you can find. Infeliciter, cool is all it was for me. The ability to pop out my laptop and write on it with a (very accurate) stylus was never that useful. 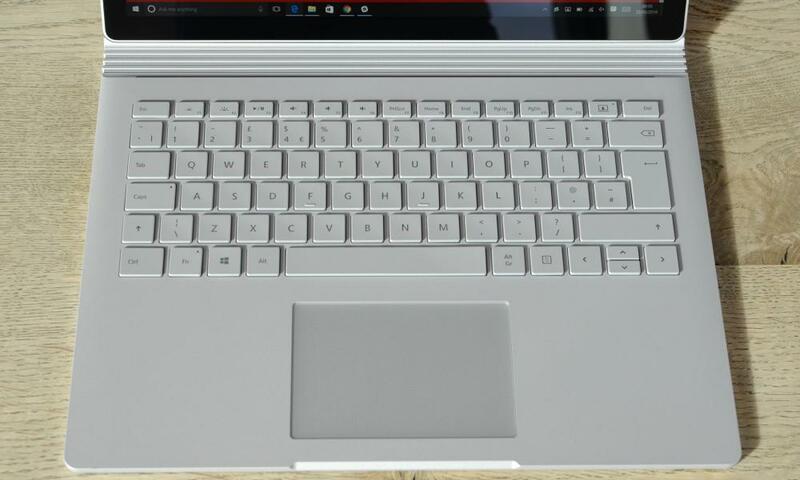 If anything, it served to underscore how efficient the keyboard-and-touchpad combo is for a lot of hefty tasks. Occasionally, the touchscreen was actively bad. My first time opening Windows Mail, I was greeted with a helpful popover showing that I could swipe mails to the left to archive them. But I couldn’t work out how: click and drag? Two-fingered swipe on the touchpad? Responsum, utique, is to reach up to the screen, and swipe that way. A shortcut it is not, particularly if the screen is up on a dock and you’re already using a keyboard and mouse. Obiter, unlike many hybrid laptops, the base isn’t just a keyboard: it also contains a second battery, and a number of hardware components including a discrete GPU. (One downside of that setup: if you let the screen run out of battery while undocked, you can’t re-dock it until you’ve charged it separately, even if the base still has some power left). If this sounds like a long list of nitpicks, it’s because … etiam, it is. For all the existential battles that have been fought over Windows versus Mac, there’s little to distinguish the two on any important level. The platforms have converged on everything but aesthetics and personal preferences. Both have a locked-down store which power users ignore; both are fighting for relevance in a world of web apps and mobile-first design; both feel the weight of versions past sitting on their shoulders. Most of all, quamquam, I couldn’t stand the small irritations, from the failure of Chrome windows to correctly adapt when dragged from a high-res screen to a low-res one, to the trackpad’s inability to accurately click when I used it with my thumb rather than my finger. Nam me, with four years of saving for a new Mac, good credit, and risk-aversion to digital irritation, it’s worth paying through the nose to stick with what I know. But it might not be the case for you. Switching isn’t a panacea, and there’s no silver bullet out there – no Windows computer that will be anything better than a bit annoying for former Mac users – but before you get too complacent, I have a feeling the same is true the other way round. Tandem, the question comes down to how much you’re prepared to pay to keep things the same as they have been. Nam me, it turns out that figure’s quite high.